Finding a trustworthy plumber while you’re in the middle of having your home flooded can be a bit overwhelming. Luckily for the Ventura area, Roto-Rooter Ventura has a staff that is reliable and dependable, and ready to help at all hours! Hiring a professional, either while in an emergency or just routine maintenance, is always a beneficial option compared to trying to solve the problem on your own. Professionals have more knowledge on why a blockage or burst pipe may have happened, and that can affect how the solution is applied. For example, a friend who may be trying to help with your plumbing may not be aware that most clogs can be three feet in length. So using drain snakes may not remove even a quarter of the problem, and could even end up pushing it further down the drain, resulting in the problem just coming up again later on. To find the right company and right professional help, even while the flooding is happening, there are some questions that you need to ask. First and foremost, who is available? Your emergency could be on a holiday, or in the middle of the night on Sunday. You will need someone reliable who can come despite uncomfortable hours. 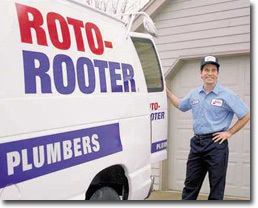 Roto-Rooter Ventura offers 24/7 emergency services. Another question you should ask is about the experience of the staff. Are they properly trained to address the flood in your home and are they licensed? This can affect how quickly and efficiently your emergency is handled. Luckily, our staff is fully trained and licensed to handle up-to-date equipment in order to smooth out your emergency and give you peace-of-mind while they work on restoring your pipes. If you are currently experiencing an emergency in the Ventura area, call us immediately at 805-307-7785. Our licensed staff will be happy to help you as quickly as possible while providing you with quality care!